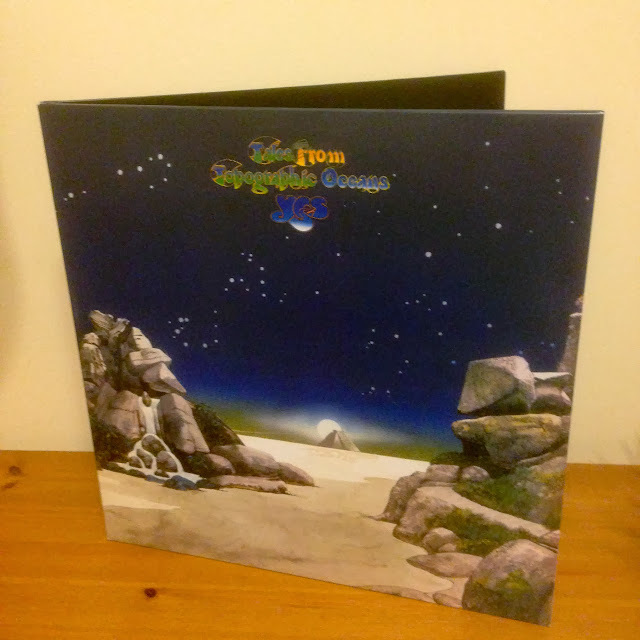 Headphonaught's Nanolog: 40 Days of Enough ... Day 3 - "Tales from Topographic Oceans"
40 Days of Enough ... Day 3 - "Tales from Topographic Oceans"
I am a big fan of Yes ... and I particularly love "Tales from Topographic Oceans". When I started buying vinyl again, this was *the* one album I wanted. I found a few 'used' in Missing Records but the sleeves weren't right ... yes, I'm particular about albums I really, really want. I finally picked this copy up over the Christmas holidays while I was ill with whooping cough. I got some money for a present and ordered it online. I love it. 180g of reissue goodness. I know "Tales from Topographic Oceans" isn't for everyone ... in fact, I know Yes aren't for everyone ... but it works for me, even the dreaded third side - "The Ancients / Giants under the Sun".